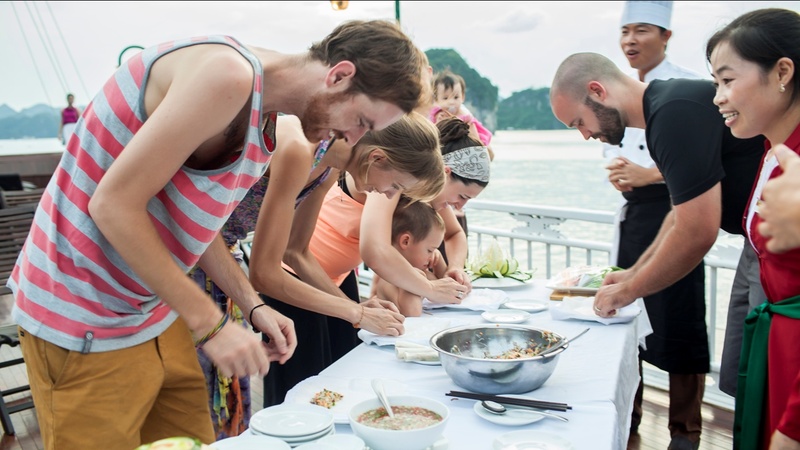 Not only helping passengers to sample the finest cuisine, cooking demonstration is also an onboard activity giving tourists a chance to learn more about the culinary culture of Vietnamese. 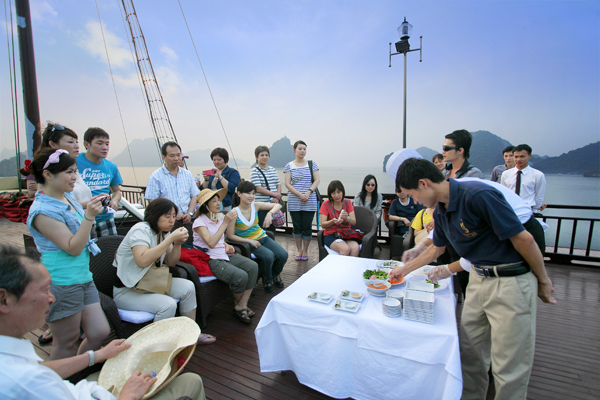 You will be shown and guided the techniques of how to carve different kinds of vegetables and fruits or how to make Vietnamese traditional dishes such as dried or fresh springing rolls by the experienced Cruise Chef. You may also be invited to take part in an interesting competition together with other passengers to find out the fastest one to make the dish and be awarded with a small yet lovely gift. At the end of the class, you can have your own dish of food, share it with your companions or enjoin yourself. For those who love cooking and cuisine, it is such an interesting activity! 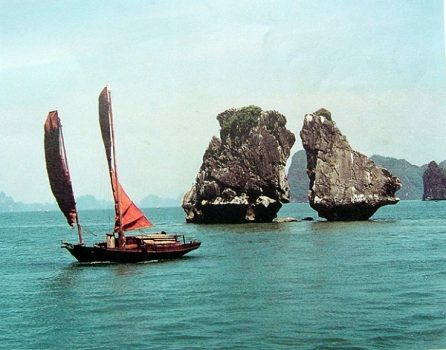 To explore the beauty of Halong Bay, which is justifiably considered as one of the jewels of Asia, besides enjoying picnics on deserted beaches, or candlelit dinners in caves set up by your crew, what’s more, this is joining Vietnamese cooking classes. How to cook Vietnamese food? With fresh ingredients and imaginative flavors, Vietnam is well known all over the world for its stunning cuisine. 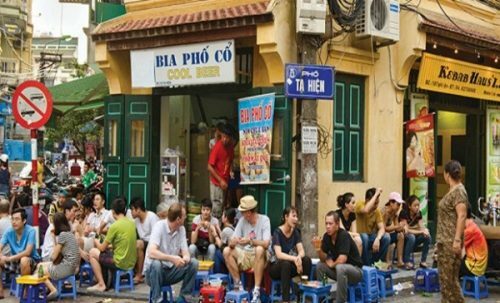 A bout of the foods of Vietnam is highly recommended for most of foreign tourists. 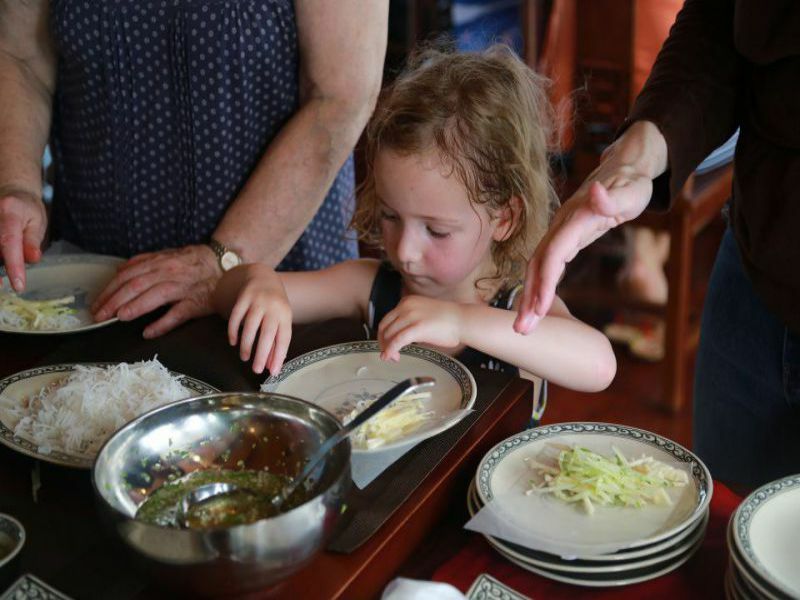 Not only a great chance to taste the authentic food but also an opportunity to know how to cook Vietnamese food is dreams of all people traveling in Vietnam. You can enjoin in the cooking tour, from the North to the South of this country. 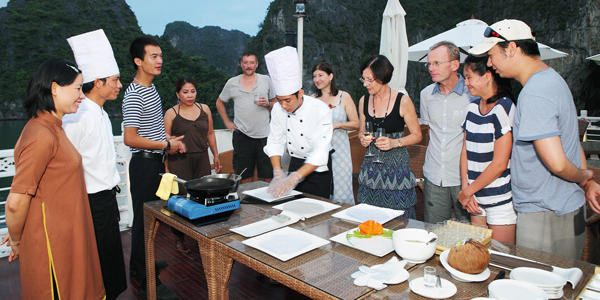 On Viola Cruise Halong, you can enjoy the Cooking class. 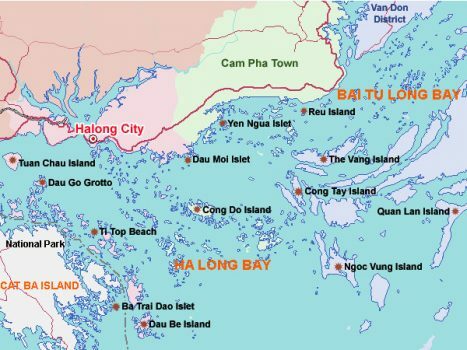 For the trip to Vietnam, it is highly recommended for many tourists as Halong Bay is the first tourist side for anyone traveling in Vietnam. 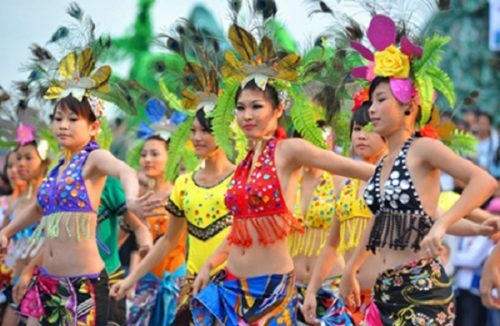 It is a very popular choice to book a 2 or 3 day trip or sleep on cruise. Especially, the cooking classes are included in your tour if you book your tour with Brand new Viola Cruise. It means you do not need to pay an extra fee to join cooking classes on board. For your cooking classes, chef and staff will help you to prepare everything in advance. You can enjoy this food yourself or share it in the half an hour class. During these classes, you will be taught about which ingredients to use in dishes, where to shop for them and how they alter the final taste of a dish as well as the techniques used to create exciting results.